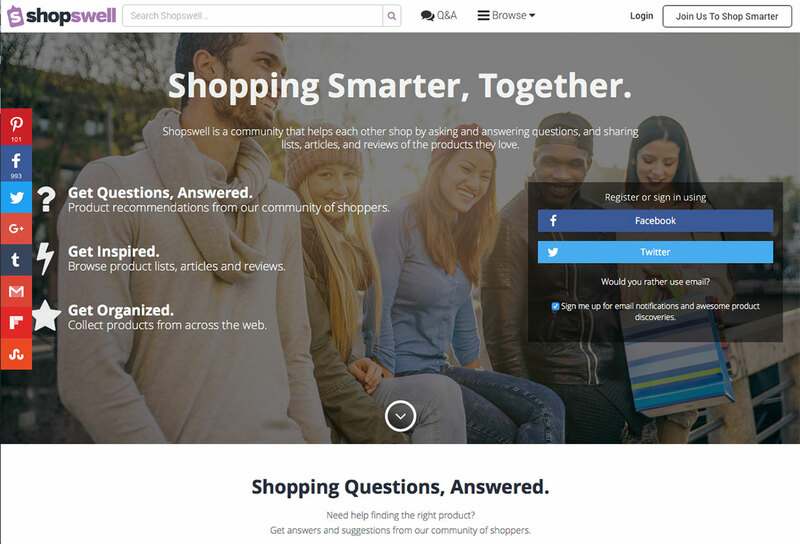 Shopswell was an almost 2-year start-up initiative on which I was a co-founder and the Director of UX and Design. Throughout this entire endeavor, I almost exclusively used Adobe's new UX design tool AdobeXD. My work included all UX & UI design for both the Web site and mobile applications, as well as any marketing collateral. Working along side the product, marketing, and dev teams, we followed an iterative design process, beginning with user scenarios, flow diagraming and wire-frame mockups, to flush out ideas before implementing and launching the complete designs. The initial focus of the site gave users the tools to create lists and save products from any online retail shopping site, somewhat like Pinterest. Unlike Pinterest, users could click through to the product and purchase it. Additionally, users could follow each other to view each other's content. This was a small, nimble team and we were able to continuously improve upon the product by rapidly designing and rolling out features to test them with our users. With each batch of feedback we collected, we were able to quickly adjust, improve, and add new features to the product. Because of our size, we were able to make rapid design iterations. In the span of one or two days, we would have product discussions, I would wire frame and mock designs, and the dev team would quickly implement. 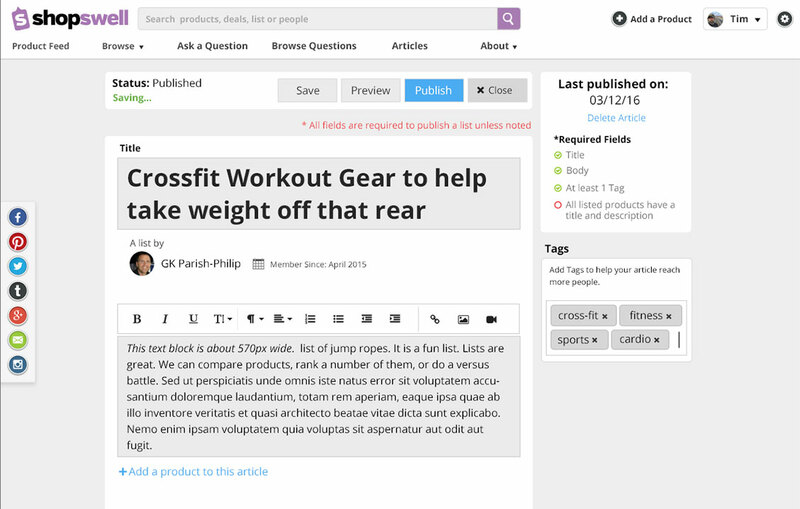 We tested a content publishing feature for users to write and publish articles on the site about products and ideas they found and used. 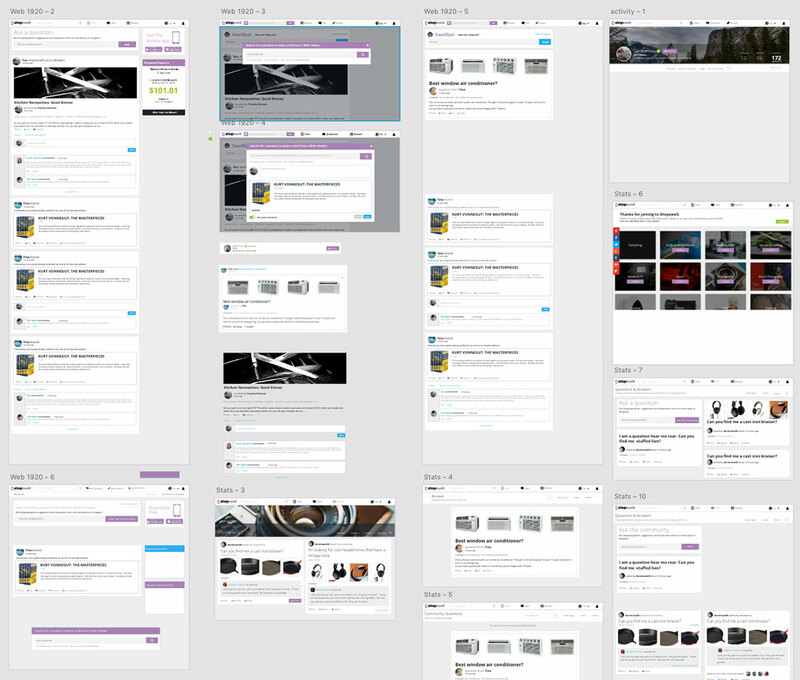 All new features went through discussion, wire frames, visual UI mocks, and prototypes before we pushed them live. 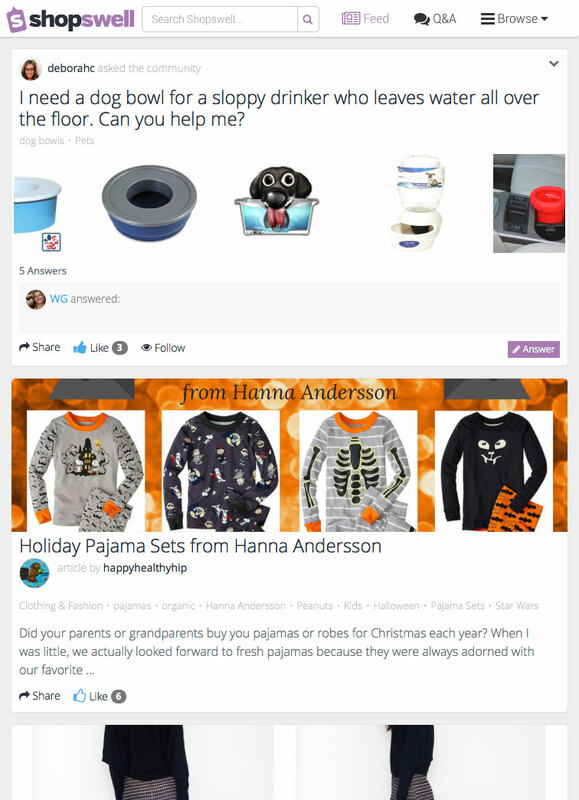 As users began engaging, we began to see users utilizing the comments and publishing tools to ask questions about products. This led to the development and implementation of a question and answer feature. By starting with a Web-first approach we were able to quickly improve and build upon the features we offered. In the Summer of 2016, as the product offering became clear and refined, we developed a mobile application and launched iOS and Android app versions. Within a few months, we grew the site to have over 40,000 registered users, over 50K lists, +7k user created reviews and articles, and over 50k questions which generated north of 180,000 user answers. By the end of Summer 2016, traffic was up to 190,000 monthly active users, all engaging and sharing questions, answers, articles, reviews and curated lists. In December of 2016, the company was acquired by one of our investors. You can visit the current site here.